Seven people have already drowned during the holiday period, including one child. Police and life savers are pleading for people to take care in the water this holiday season, with seven people dead and another boy missing in incidents at NSW beaches and waterways. A 14-year-old boy is missing after getting into trouble while swimming at Maroubra beach on Tuesday night. He was swimming with a friend around 8.30pm when the pair got into trouble in the water. Police say a 26-year-old man helped one of the boys into shore, but after returning to the sea, could not find the second boy. Police Rescue, the Ambulance Rescue helicopter and life savers mounted a search, but had to suspend the operation just before midnight due to poor visibility and surf conditions. The search resumed on Wednesday morning. It is just one of far too many waterway incidents this festive season, coming after six men and one child drowned in recent days. Police are urging people to remain vigilant as thousands of holiday-makers continue to enjoy pools, waterways and beaches. Just hours before the boy went missing at Maroubra, a man died while swimming at The Entrance. Emergency services were called to swimming baths on Tuesday afternoon after a man was found unresponsive in the water. Paramedics attended but the man died at the scene. On Boxing Day Geoffrey Blackadder drowned trying to save his brother's grandchildren who were caught in a "flash rip" off the NSW north coast. Surf Life Saving NSW says Blackadder was sitting on the beach with his niece when he noticed the children in danger 30 metres north of the flagged area. He entered the water and was followed by two on-duty lifeguards. 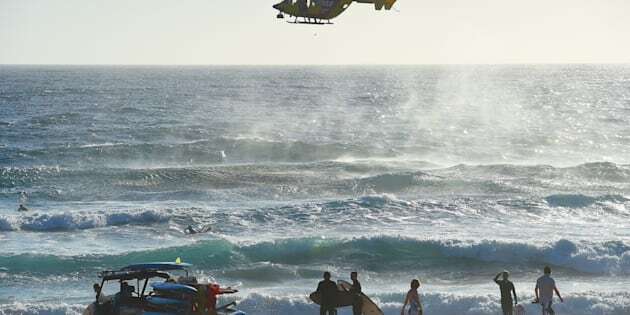 "Without hesitation he entered the water in an attempt to offer assistance to the swimmers," Surf Life Saving NSW said in a statement. "Upon re-entering the water they quickly reached the man and ascertained that he was unconscious and not breathing." Police say Blackadder was pulled from the water at Wooli Beach, near Coffs Harbour. CPR was performed while using oxygen and a defibrillator, but he was unable to be revived and died at the scene. Blackadder was in his 60s. His family are appealing for donations for his funeral on a Go Fund Me page. Geoffrey Blackadder died while trying to save his brother's children. Shortly after Geoffrey Blackadder died, a man went missing in the waters in Kangaroo Valley on Monday afternoon. The 27-year-old waded into a river with a friend when he encountered difficulty while swimming. A extensive search was conducted by Westpac and Caresouth helicopters, with the assistance of NSW Ambulance Paramedics, Shoalhaven Local Area Command and the Marine Area Command. The man's body was located in the water a short distance away at 6.15pm Monday afternoon. Local detectives are investigating the circumstances of the drowning. 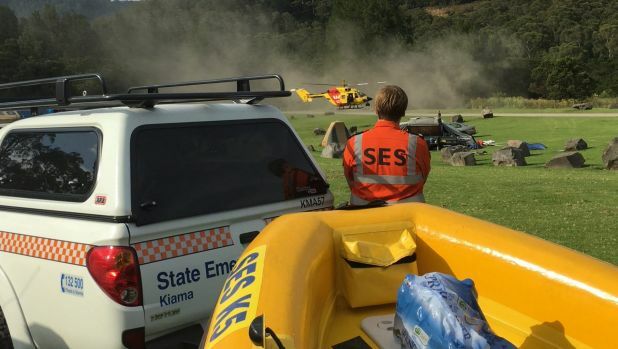 Rescue workers look for the man in Kangaroo Valley. A 25-year-old man found on Tuesday went missing in the Nepean River at around 3.30pm on Boxing Day. News Corp reports over 100 swimmers were in the area but no one immediately noticed the man was in trouble. When friends realised something was wrong, they were not able to locate the man. His body was discovered after a full-scale search by police and volunteers from the State Emergency Service. Police say there does not appear to be any suspicious circumstances surrounding the man's death. A 27-year-old tourist drowned at a popular national park south of Sydney on Christmas Day. The man was swimming at Wattamolla Lagoon at 6.45pm Sunday when he did not resurface. Nearby swimmers saw the man disappear underwater at the inside the Royal National Park. The swimmers located the man and pulled him back to shore. Despite efforts by bystanders and paramedics to revive the man, he died at the scene. 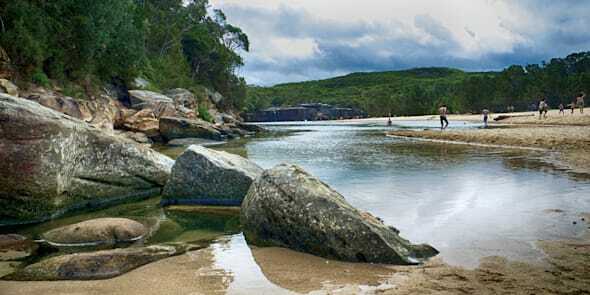 Wattamolla Lagoon is a popular attractive where visitors typically jump off cliffs into the lagoon waters. The lagoon at Wattamolla Beach is a popular spot for jump from high rocks into the water. On Monday night a 56-year-old man was pulled unresponsive from the surf at Merry Beach on the NSW south coast. Paramedics performed CPR but the man could not be revived. Police from Shoalhaven Local Area Command are investigating the circumstances surrounding the man's death. A 23-month-old girl, Charli Manago, died in hospital on Boxing Day after she was found with her twin unconscious in a backyard swimming pool on Tuesday. Her brother remains in a critical condition and continues to undergo treatment at The Children's Hospital at Westmead in Sydney. Police are investigating how the children got into the pool but said earlier in the week the pool fence appeared to meet regulatory requirements. 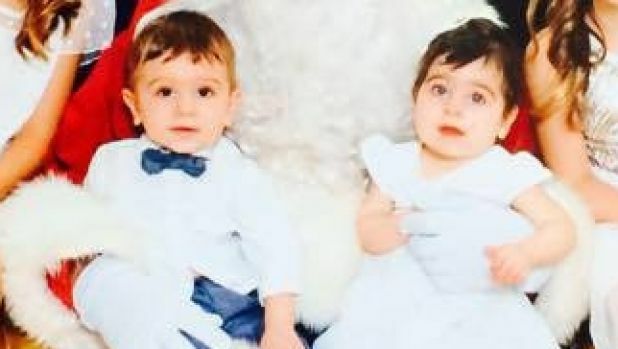 Twins Robbi and Charli Manago were found unconscious in the pool of their home in Kellyville Ridge.